Have you ever encountered a situation when a place on your smartphone just ran out, although it seems like there is nothing superfluous on it? To solve this problem is quite simple, using special programs for cleaning. 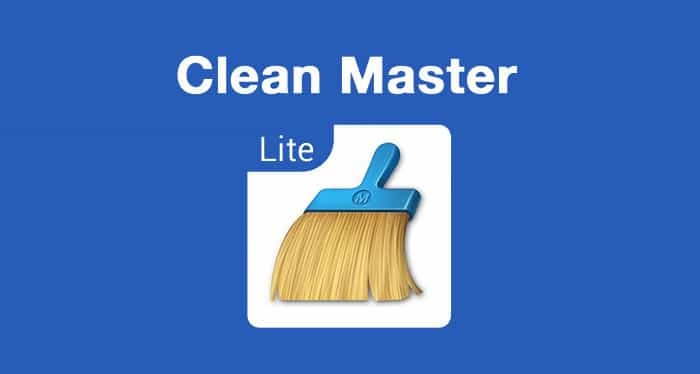 One of them is the Clean Master for Android, which allows you to control the contents of the memory and delete accumulating unnecessary files. How does the Lite version differ from the full one? This program is designed for users who have at least the initial minimum knowledge of the use of smartphones and tablets. In it, all operations are explained in accessible language, and this makes it truly simple. The program itself divides the accumulating files on the 4 type to make it easier to delete them. "Tasks". In this section there are not the files themselves, but the processes executed in the background. Running programs take up space in RAM, which can significantly degrade the speed of processing requests. After closing unnecessary programs, performance often increases. "Garbage". 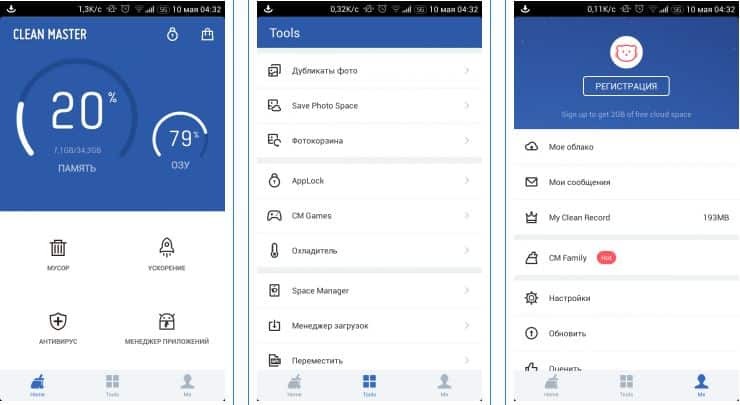 Here you can search for files generated by various applications that have accumulated during the process of using a smartphone or tablet. This includes both their cache and residual files that arise when installing or uninstalling programs. Find and get rid of them by pressing just one button. "Personal data". To clean or not this section is up to you. But remember that login data can be stolen and used by intruders for their own purposes. Therefore, it is worthwhile to regularly get rid of them, and thus protect yourself from problems. "Applications". If the time has come to sort out your programs and remove unnecessary ones, then in this menu it will be easiest to do such work. In addition, you can make backup copies of programs for Android, in case they have to be reinstalled, and the Internet is not at hand. As you can see, only one application Wedge Master will significantly simplify your life by cleaning the phone or tablet from unnecessary debris and optimizing their work. And about the safety of personal data in security is not even worth talking about. In the app store you can find not only the full, but also the light version. It is intended primarily for smartphones and tablets, in which there is little built-in non-volatile and RAM. It performs the same functions as the standard application, but at the same time has a more lightweight design that looks better with a small display resolution and is more minimalistic. With the latest updates, the cleaning wizard has received another nice feature - an anti-virus module has appeared in it. Its task is to scan all applications and files of the user for the presence of threats, and a warning when they are detected. By decision of the owner, the infected files can either be deleted or ignored. You can create rules that allow you to store files to which the antivirus responds as dangerous, in certain folders. Because of this, he will not constantly scan them and warn of threats. And although the operating system itself is reliably protected, when installing on Android applications from third-party sources, there is a chance to catch a blocker or spyware. As a result, we have one application that copes with advanced functionality, minimally affects performance, and also looks nice and simple. No other program with similar tasks can boast such ample opportunities. Despite the fact that the Wedge Master was developed by the Chinese, the translation into Russian was done quite qualitatively, and there were no unpleasant speech turns.